Everyone loves finishing a holiday feast with cheesecake. We love Classic New York Cheesecake, but the holidays demand something a little fancier. 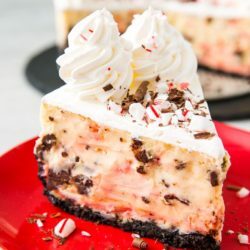 Peppermint bark meets cheesecake in this minty, chocolate-y epic dessert. 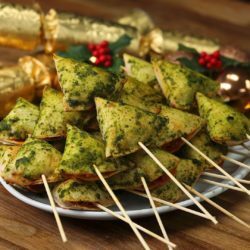 Get in the spirit with these fun Fajita stuffed Christmas Tree Triangles. They’re easy to make and baked until crispy. Speared on skewers and slathered with pesto on top for that added garlic and herbaceous kick. 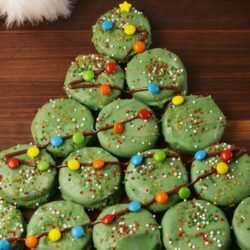 The cutest and easiest Christmas treat to serve this year. 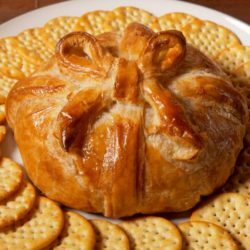 Give the gift of cheese this season.